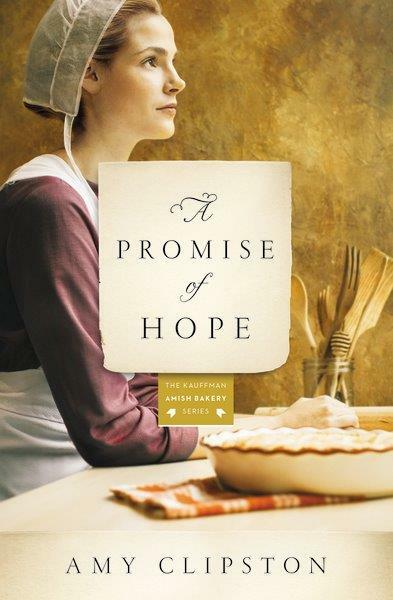 In A Promise of Hope, an Amish widow with newborn twins discovers her deceased husband had disturbing secrets. As she tries to come to grips with the past, she considers a loveless marriage to ensure stability for her young family … with her faith in God hanging in the balance. Book #2 in my Kauffman Amish Bakery series was inspired when my mother and I rented “chick flicks” while my husband and sons were in Virginia visiting my mother-in-law one weekend. We watched “Catch and Release” starring Jennifer Garner, and I was struck by the concept of finding out your significant other had a secret past after he died. I took that concept and ran with it, and A Promise of Hope was born.